Home Tags Articles tagged with "court"
Marcos Martinez, 24, was found competent to stand trial on March 20, as Judge Lawrence Wharton found him mentally competent after reviewing Arizona State Hospital evaluation reports. Martinez is accused of murdering his 62-year-old grandmother, Vicky Ten Hoven. She was found dead from multiple stab wounds and blunt force trauma in her Maricopa home on Jan. 28, 2018. Prosecutors have until May 31 to determine if they will seek the death penalty against Martinez. 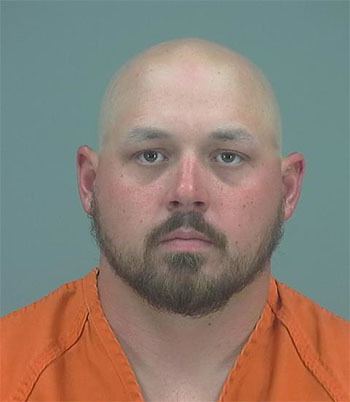 He is scheduled to appear in Pinal County Superior Court on May 24 for a status review and he remains in the Pinal County Jail pending the posting of a million-dollar bond. Graphic rendering of proposed court expansion in Maricopa. Despite the lack of a quorum at Thursday’s meeting, the Heritage District Citizen Advisory Committee heard a presentation on the expansion of the courthouse in Maricopa. The courthouse at 19955 N. Wilson Ave. has expansion plans. The court serves as justice court for Western Pinal and magistrate court for the City of Maricopa. The courthouse will experience a 41,000-square-foot expansion. Many satellite county offices will be included in the expansion, including the planning department, recorder’s office and several other county functions. A Pinal County Sheriff’s Office satellite is expected to be part of the expansion on Wilson Avenue. The county is hoping to break ground on the expansion by the end of 2019, hopefully in October or November, with completion of the project in 12 to 14 months. The project consists of two buildings. One building is the Community Services Building for county services, like the county assessor, recorder, supervisor’s office, planning and development services. The second building is built around the existing justice building. Another courtroom is to be added. The Sheriff’s Office satellite will be located on one end of the building, and probation will be added to the other end of the building. The project is designed to stay within the historic parameters of the Heritage District and be a government building that doesn’t look like a strip mall. Also presented was information about Amalia Clark’s proposed two-story daycare known as Molly’s House of Little Feet at 19909 N. Justin Drive. The facility would be more than 7,000 square feet. The presentation was given to members of the city’s planning and zoning commission on Monday. 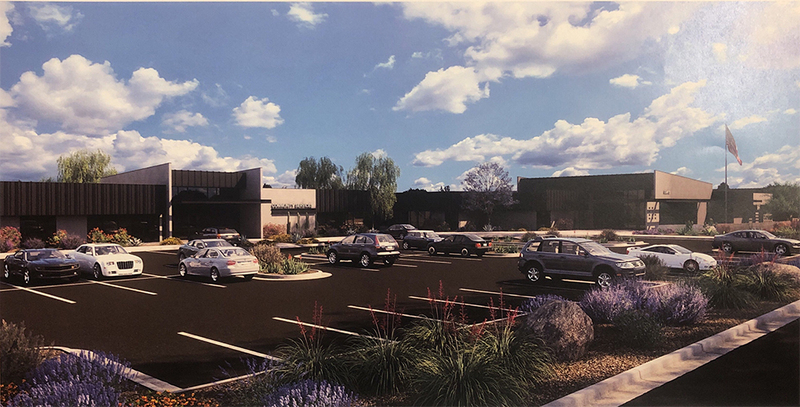 The committee also looked at architectural elevations for restaurants, automotive center and self-storage building center at 20215 N. John Wayne Parkway. A retail center has been proposed in a lot north of the current Maricopa Self Storage. As proposed, it would include two drive-thru restaurants, 6,000 square feet of retail space, an automotive center and 94,000 square feet of self-storage. The lot sold in October for $1.25 million to PH Maricopa LLC of Chandler. There was also a presentation about recent clean-up efforts inside the Heritage District. Flor Brandow, neighborhood program specialist, said three 40-foot roll-off dumpsters were filled with close to 11 tons of trash by volunteers. Monday, Dillon Colton Wilson, 26, of Glendale, was sentenced by U.S. District Judge Steven P. Logan to 21 months in prison followed by three years of supervised release. Wilson had previously pleaded guilty to assault resulting in serious bodily injury. Wilson admitted that while caring for the 5-month-old infant victim in the Ak-Chin Indian Community, he forcefully jerked the victim by the left arm, resulting in a complete, mid-shaft break of the upper arm. Wilson is an enrolled member of the Tohono O’Odham Nation. It took less than one hour Monday for a Pinal County jury to find Arthur Eric Magaña guilty of killing 20-year-old Wyatt Miller. Magana was convicted of first-degree murder after shooting Miller 11 times in the back of the head and neck on Nov. 7, 2016. The jury also found Magaña guilty of armed robbery as Miller was killed during the theft of four ounces of marijuana. Magaña, now 18, is accused of killing Miller inside his truck. The alleged murder took place in a rural area of Maricopa, according to court testimony. Magaña was just 16 years old at the time of the murder but is charged as an adult due to the gruesome nature of the murder. Magaña’s murder and armed robbery trial began Wednesday and was handed to the nine-woman, three-man jury Monday afternoon just after 2 p.m. The jury took under an hour to return the guilty verdicts. The jury was brought back into the courtroom at 3:45 p.m. to hear sentencing instructions and decide Magaña’s fate in the second phase of the trial. Judge Kevin White said the jury will only determine the aggravated circumstances and not Magaña’s sentence. White will be the one to determine the 18-year-old’s sentence. The state called two witnesses in the second phase of the trial including Maxine Medlock, Wyatt Miller’s mother. “I’m not sure where to begin. Wyatt was the love of my life. He had such a good spirit. A loss of a child is so painful. The pain never goes away. Wyatt had his whole life ahead of him… I’m upset I have to live the rest of my life without him,” she said. The defense called no witnesses in the second phase. The jury left the courtroom at 4:15 to determine if the first-degree murder charge would be enhanced due to aggravating circumstances. Attorneys were told to wait in the hallway as the jury decided. The jury returned at 4:46 to hand down their aggravating circumstances endorsement. Magana’s fate then rested in the hands of Judge White. He ordered Magaña held without bond and set sentencing for Dec. 17. Closing arguments began in Arthur Magaña’s murder trial Monday afternoon in Pinal County Superior Court, and the jury began deliberation within an hour. Magaña, 18, is accused of killing 20-year-old Wyatt Miller by shooting him 11 times inside his truck on Nov. 7, 2016. The alleged murder took place in a rural area of Maricopa during the theft of four ounces of marijuana, according to court testimony. Magaña was just 16 years old at the time of the murder but is charged as an adult due to the gruesome nature of the murder. Magaña’s murder and armed robbery trial began Wednesday and was handed to the nine-woman, three-man jury Monday afternoon just after 2 p.m.
Gustavo Olivo was also involved in the crime and has already pleaded guilty to charges of second-degree murder and armed robbery. “He (Magaña) fired 11 rounds into the back of his head, and Wyatt didn’t even see it coming. He took the cowards way out and never gave him a chance,” Johnson said in closing arguments. Officers trained in tracking followed footprints to a house where the defendants were located, according to Johnson. “They made it pretty easy for them… They led officers right to themselves,” Johnson told the jury. Investigators smelled marijuana after entering the house and found the four ounces of marijuana, allegedly taken from Miller. More evidence was found in the freezer and their shoes matched the prints. Blood was also found on their shoes, according to Johnson. Johnson said the 9mm semi-automatic HK handgun used in the murder was purchased by Magaña’s mother. He added that blood on Magana’s clothing matched Miller’s DNA. “He never realized he had Wyatt Miller’s blood on him,” Johnson told the jury. Johnson called the crime a planned armed robbery and execution. “His body tells you what happened. Of the 11 wounds, not one was in the face. Wyatt Miller never saw it coming,” Johnson said. Defense attorney David Gregan reviewed the “proof beyond a reasonable doubt” statute with the jury. He said Olivo and Miller knew each other, and that Olivo is the one who went around the vehicle and grabbed the marijuana after the alleged murder took place. He said it wasn’t a planned robbery because they didn’t take everything and didn’t have a plan of escape from the scene. “The evidence you saw at trial dictated that something happened out there,” Gregan said. Gregan told the jury to realize Magaña was just 16 years old at the time and was defending himself. “Something happened out there before the shooting. What it was, we do not know… no one knows for sure,” Gregan said. Gregan said there was a second 9mm gun inside the vehicle that was not tested by investigators. The untested gun raised uncertainty, according to Gregan. Johnson said the two made posts on Facebook before the incident indicating this was a planned armed robbery and Magaña bragged about the murder on videotape while in custody. Johnson called Magaña the mastermind behind the armed robbery and execution and that Miller’s life had value and meaning even if he was a drug dealer. “Wyatt Miller’s life had more value than four ounces of marijuana,” said Johnson. Judge Kevin D. White read jury instructions and sent the jury to begin deliberations on the two charges, first-degree murder and armed robbery. Arthur Eric Magana is scheduled for trial next week in the death of Wyatt Miller. The trial of Arthur Magaña, 18, on a charge of first-degree murder is set to begin next week with jury selection, but the judge had to rule on an important issue Wednesday in an evidentiary hearing. Homicide Detective Joe Bonucci took the stand in Pinal County Superior Court to talk about the night Magaña was arrested after the shooting death of Wyatt Miller, 20. That was Nov. 7, 2016, exactly two years before this week’s hearing. In pre-trial paperwork, Magaña’s counsel had filed a motion to suppress statements, claiming a Miranda warning violation during interrogation. Judge Kevin White asked to hear the detective’s account of that night during Wednesday’s hearing before ruling on the matter. Two days earlier, Magaña’s one-time co-defendant, Gustavo Olivo, was sentenced to 25 years in prison after reaching a plea agreement with the Pinal County Attorney’s Office. Olivo admitted to second-degree murder and armed robbery but said Magana was the gunman. Magaña is charged with murder and armed robbery. Wednesday, Miller’s father and Magaña’s mother attended the hearing. Prosecutor Patrick Johnson asked Bonucci detailed questions about the night of the arrest in an effort to disprove the defense’s claims. Bonucci was the case agent and on-call detective. According to the Pinal County Sheriff’s Office, a report of shots fired was logged at 7:30 p.m. and deputies arrived shortly after. 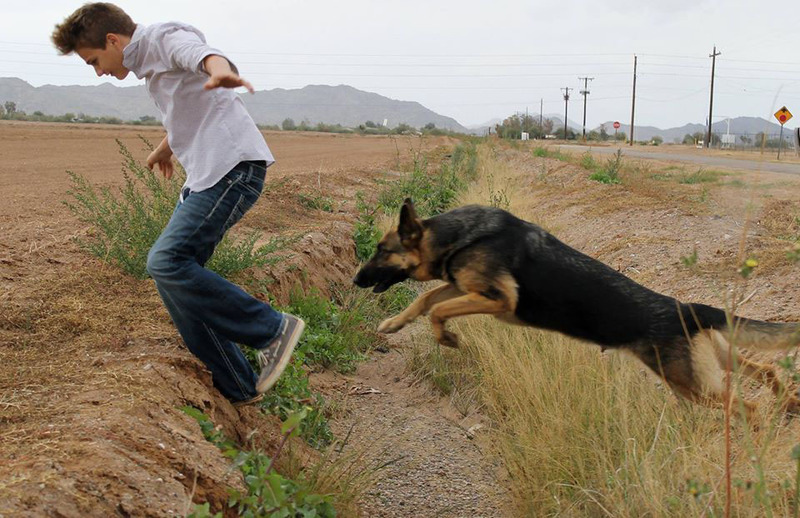 At 8 p.m., Bonucci was called by his supervisor and sent to the scene on a rural road south of Maricopa. While en route, he was informed there were two locations being investigated. Miller’s body had been found in a Chevy pickup truck on Cardinal Road “a hundred yards or so from the nearest residence,” and two suspects had been found at a home on Oak Road. Bonucci testified no deputies interrogated Magaña or Olivo at the scene. He said one teen was placed in a PCSO vehicle while the other was placed in an Ak-Chin Police vehicle during the preliminary investigation. Eventually, both were placed in a PCSO posse vehicle, and an investigation team member placed a digital recorder in the vehicle. Bonucci said the suspects, who were 16 and 17 at the time, were not questioned in the car, either. The detective said they later found the digital recorder to have been tampered with or the batteries removed. Magaña and Olivo were taken to PCSO in Florence, arriving at 3:13 a.m. Bonucci said they were taken to the second floor and placed in separate interview rooms across the hall from each other. Having learned on the trip back to Florence that the teens were under age 18, Bonucci said his team employed juvenile protocol, which included contacting a legal guardian for each before interrogation. In Magaña’s case, his mother arrived and was soon taken to the interrogation room to be with her son. It was at that point, Bonucci testified, Magaña was read his Miranda rights. He opted not to answer questions without an attorney, he said. Meanwhile, Olivo was allowed to have a phone conversation with a sister who was not his legal guardian. Bonucci said Olivo answered some questions before also invoking his Miranda rights, and the interview stopped. 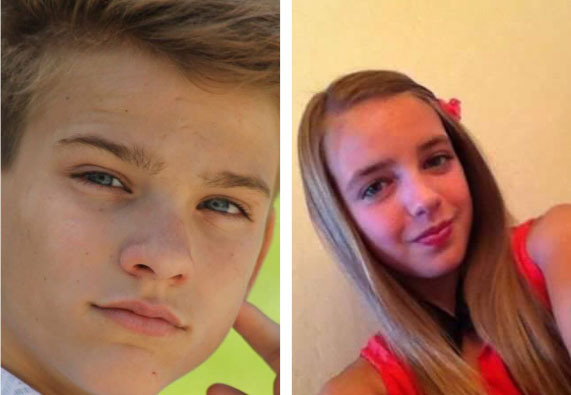 Bonucci testified the teens were placed in one interview room where they could be monitored by video and audio while the investigative team tried to work out whether to book them into juvenile detention or adult detention. “We knew they would be remanded and charged as adults,” he said. During the disagreement among the authorities (the teens were eventually booked into juvenile detention), Magaña and Olivo apparently had a conversation while they waited. Bonucci said investigators did not talk to them, they were not interrogated, questioned, coerced or threatened, but they were recorded. What was said during that one-on-one conversation in the interview room was at the heart of the motion to suppress. White ruled the situation was not a Miranda issue and several statements made during that conversation could be used as evidence during the trial. The judge disagreed with the defense counsel’s argument that the teens’ conversation took place in an “ad hoc continuation of the interview” and should have been part of the invocation of Miranda rights. White also said there was no “custodial interrogation” and no indication Olivo “was acting as an agent of the state” or trying to make Magaña make incriminating statements. Jury selection is scheduled for Tuesday. White said he is confident the trial will be finished by Nov. 21. Travis Miller and Maxine Linette Medlock spoke emotionally of the dreams they had for their son Wyatt Miller in court Monday. Gustavo Olivo, 19, was sentenced to 25 years in prison and seven years probation for his part in Wyatt’s death two years ago. The sentencing by Judge Kevin White came after a plea deal in Pinal County Superior Court. Wyatt Miller was 20 years old when he was killed Nov. 7, 2016. “I had plans, I had goals, I had dreams that included my two sons,” Travis Miller said. Olivo, wearing an orange PCSO sweatshirt, mainly stared ahead or at the floor as the father spoke. “I think you are an evil, selfish coward,” Miller told him. Olivo and Arthur Magana, 18, are accused of planning the murder that involved shooting Wyatt 11 times. Magana has a hearing set for Wednesday before the same judge. “It is so devastating and heartbreaking to lose a child,” Medlock said. Miller said the family is getting a little bit of justice with the sentence of Olivo and hopes for more in the case against Magana. “This is only a part of the nightmare,” he said. In his plea, Olivo admitted to planning and participating in the murder of Wyatt Miller but said Magana was the gunman. The seven years of probation is attached to the second charge of armed robbery. Travis Miller said Olivo could have stopped the murder at any time but did not. Miller said he hopes Olivo takes advantage of the programs in “big boy prison” and comes out a better man. He said the last thing society needs is another uneducated felon back in the community. Judge White said though he considered Olivo’s age of 17 at the time of the murder and his remorse in his sentencing, it was not enough to override the aggravating factors or harm done to the family. White noted the investigation report that stated the defendants laughed after Wyatt was shot in the back of the head. The night Wyatt was killed, the Pinal County Sheriff’s Office responded to a report of shots fired at around 7:30 p.m. on West Cardinal Road in an unincorporated area south of Maricopa. Wyatt Miller was soon found dead in a Chevy truck. Money and other property had been taken. Deputies followed two sets of footprints to a home on South Oak Road, where the teens were arrested. They were indicted Nov. 16. In early court hearings, Olivo and Magana appeared together, but their cases were severed in April this year. Olivo’s extended family members were in court as were several members of Wyatt Miller’s family to hear Wyatt’s parents. 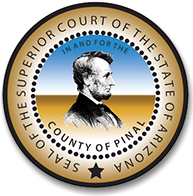 Stephen F. McCarville, presiding judge of the Superior Court in Pinal County, has appointed two Superior Court Commissioners to fill vacancies created by the gubernatorial appointments of Robert Carter Olson and Patrick Gard to the Pinal County Superior Court bench. McCarville thanked McDermott, Kelly Neal and Megan Weagant, who were included in the five candidates identified by the Superior Court’s Judicial Selection Committee to move forward for the judge’s consideration. Hazel and Palmer are expected to begin their new roles as commissioners Oct. 22. Monday, Pinal County Judge Christopher O’Neil set the trial date for one of the teens accused of murdering 20-year-old Wyatt Miller nearly two years ago. Arthur Eric Magana will stand trial Nov. 13 at 9 a.m. in front of Judge Kevin White and a 12-person jury. The November trial was tentatively scheduled in April when White officially set the trial for co-defendant Gustavo Olivo. John Schaus, attorney for Olivo, previously expressed a desire to settle his client’s case without a trial. However, Olivo’s trial begins two weeks before Magana’s on Oct. 30. O’Neil, who was covering White’s docket temporarily Monday afternoon, affirmed the October trial date. O’Neil said the two trials will remain under White and will not be subjected to reassignment. Both trials are estimated to last six days each. The teens are accused of first degree murder and burglary in the shooting death of Miller on Nov. 7, 2016, in an unincorporated area of Maricopa. Magana and Olivo will return to court for status review hearings in July. The homicide case involving a Maricopa woman might not see trial until after the third anniversary of the victim’s death. Shawn Main, 48, was scheduled to stand trial in July in the first-degree murder and child abuse of 3-year-old Tiana Capps. The toddler died of blunt force trauma at Banner Casa Grande Regional Medical Center after Main, the child’s caretaker, called for emergency help on Ralston Road southwest of Maricopa in December 2015. In April, the defense team successfully pushed the trial to January. Co-attorneys Chester Lockwood and Cody Weagant argued they needed additional time to prepare the defense, blaming much of it on their client’s alleged medical conditions. Main’s health issues include “probable and suspected” heart problems, diabetes, chronic swelling and poor circulation of the feet, a goiter and a growth on her chest area, according to a court document filed in April. The defense team said Main needs a primary care physician and a complete medical evaluation before an eventual thyroid surgery ahead of trial. Lockwood and Weagant wrote in their motion to court that neither they nor their client had a timeline for when those would occur. Instead of preparing for her summer trial, Main and her attorneys are now hoping to dig through evidence they motioned for access to in May. The defense is asking the court to release electronic devices seized by the state, including those belonging to Main’s co-defendants: her ex-wife Maria Tiglao and the victim’s biological mother Tina Morse. “It is believed the seized devices contain exculpatory evidence and the state has possessed the same for nearly three years,” court documents state. Main is also motioning the court for Women, Infants and Children (WIC) records for the victim and her three siblings who lived with Main and the other two women in a home in unincorporated Maricopa. Court documents state the Casa Grande WIC office weighed and measured the children during each visit. A medical examiner testified earlier this year that Tiana Capps was undernourished. Counsel for the victims has until early June to file a response to those motions. Main will be in court for a hearing July 16 at 3 p.m. The man accused of killing his grandmother earlier this year will undergo a mental examination to determine his competency to stand trial. Pinal County Superior Court Judge Dwight Callahan ordered Marcos Jerell Martinez to a “full Rule 11 examination” in court Wednesday morning. Martinez, with a full beard and long hair, appeared in a brown jumpsuit for his hearing May 2, but his cooperation with counsel has apparently been an issue. Callahan recently approved a motion by the defense team to visit with their client at the door of his jail cell after concerns were filed that Martinez repeatedly “denies or refuses” to meet with attorneys, according to court documents filed in April. The first-degree murder suspect submitted to a rule 11 pre-screening in March where a doctor recommended a full examination. The state and the public defender’s office both nominated psychologists to fulfill the order. Those results are expected to be reviewed in court June 27 at 9 a.m.
After the mental examination review hearing this summer, attorneys for Martinez are expected to file a motion to remand the case to a second grand jury for a new probable cause determination. A grand jury indicted Martinez in February of premediated first-degree murder, punishable by death or life in prison, after the Maricopa Police Department forwarded additional charges of tampering with evidence and unlawful use of means of transportation in the same case. Martinez is held in the Pinal County Detention Center on a $1 million secured bond. Martinez stands accused in the Jan. 28 blunt-force trauma death of Vicky Ten Hoven in Rancho El Dorado. Two teens accused of murder appeared in court Monday nearly two weeks after their original trial date. Arthur Eric Magana and Gustavo Olivo were scheduled to go through trial as co-defendants April 10, but received separate trial dates in court April 23. The teens allegedly shot to death 20-year-old Wyatt Miller in 2016 in unincorporated Maricopa. Olivo will stand trial for six days beginning Oct. 30. Magana’s trial, also planned for six days, is tentatively scheduled for Nov. 13. Both trials would feature a 12-person jury. John Schaus, attorney for Olivo, said he’s still hoping to settle the matter without trial by way of an offer from the state. “If we settle this, I’ll let you know immediately,” Schauss told Pinal County Superior Court Judge Kevin White. White vacated the original trial last month because of other conflicting trial dates. Olivo and Magana will return to court June 11 for a status review conference. Michael Agerter’s accused murderer will face a 12-person jury trial after the Thanksgiving holiday. The four-week trial will begin Nov. 27 and is expected to end just four days before Christmas. Pinal County Judge Kevin White vacated the original spring trial for defendant Kathryn Sinkevitch last month to accommodate defense attorney Bret Huggins’ slammed trial load. White expressed concern in court April 9 that the new trial may run long and overlap into the busy Christmas week. He told Huggins and prosecutor Shawn Jensvold he may add Mondays to the trial schedule to prevent that situation. If that decision is made, it’s unclear whether the inaugural day of trial would be moved to Nov. 26. White also asked lawyers on both sides if a settlement conference had taken place. The goal of these sessions is to resolve the case without trial. The day before the last week of trial begins will mark the second anniversary of Agerter’s murder. The victim was shot to death in the garage of his Rancho El Dorado home Dec. 16, 2016. Monday’s successful trial date setting was not without a violation of courtroom etiquette. A bailiff admonished a woman for waving and repeatedly calling the suspect’s name from the gallery as Sinkevitch walked shackled to a holding cell at the conclusion of the hearing. Sinkevitch will return to White’s courtroom July 16 at 1:30 p.m. for a status review conference ahead of trial. The RTA plans are aimed at widening State Route 347 and establishing an east-west corridor. 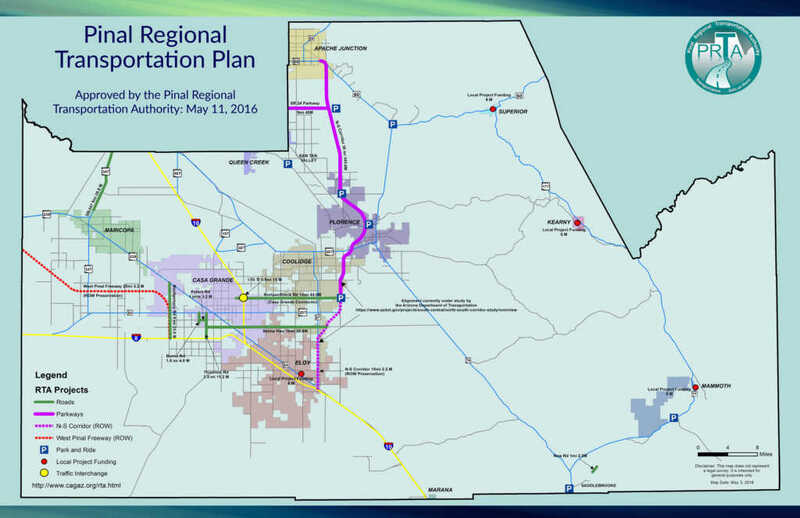 Pinal County and the Regional Transportation Authority filed a legal response Monday to an injunction request filed by the Goldwater Institute over a transportation sales tax. The tax and the transportation infrastructure improvements it is meant to fund (Props 416/417) were approved by county voters in November. The Goldwater Institute, a conservative thinktank based in Phoenix, filed suit in December against the county, the RTA and the Arizona Department of Revenue. Plaintiffs are listed as Arizona Restaurant Association, county resident Harold Vangilder and On Sight Shooting owner Dan Neidig. “The problem is the tax is so complicated and confusing that nobody really knows what is taxed and how,” Timothy Sandefur, Goldwater vice president, said at the time. The case is in Maricopa County Superior Court in front of Judge Chris Whitten. In responding to Goldwater’s motion, the defendants called the claims of voter confusion “apparitional.” The response [read it here] also stated the plaintiffs failed to meet the requirements for injunction. There is continuing uncertainty over the legal ramifications if the court does not grant the preliminary injunction to halt the start of tax collection on April 1 but Whitten later rules against the RTA. The county cannot proceed with RTA plans until the case is settled. Testimony concluded Friday in the two-part Chronis hearing surrounding the blunt-force trauma death of 3-year-old Tiana Capps in 2015. The defense team for Shawn Main, the woman charged with Tiana’s murder, called the special hearing months ago to require the state to establish probable cause in the death-penalty case. Pinal County Sherriff’s Office Homicide Detective Michael Benedict testified March 2. The first portion of the hearing was held in January with testimony from a medical examiner. A portion of Benedict’s testimony expanded on an allegation of a note allegedly written by Main the day after Tiana’s death. Prosecutors previously alleged the letter exonerated Main’s wife Maria Tiglao and the children’s biological mother, Tina Morse. 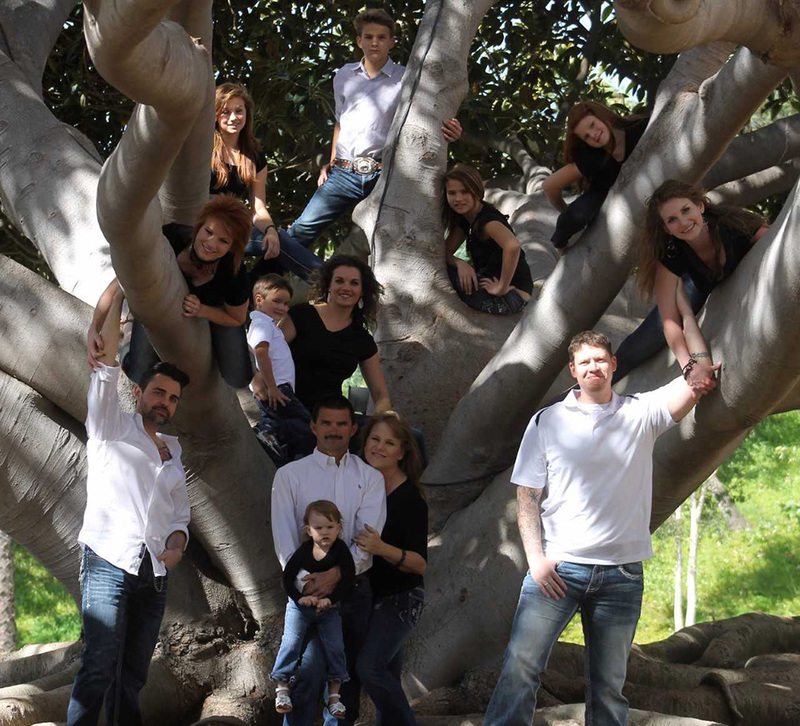 The three adults lived together with Morse’s four children in unincorporated Maricopa. Tiana was pronounced dead at Banner Casa Grande Medical Center Nov. 19. Deputies allegedly discovered the note at Main’s residence Nov. 20 after they responded to a missing person’s call from Tiglao, according to court documents. I, Shawn Main, take full responsibility in the death of Tiana Capps. She would never have died if I sought medical attention the first night she was falling. Whether I thought it happened from her acting out on purpose or not, had I not let my pride get in the way, she would still be here alive. Neither Chris Tiglao nor Tina Morse had any knowledge of what was happening when Tiana was falling over and over. Nobody else had any contact with her so that leaves me responsible for her alleged sexual abuse as well. I am not worthy of keeping my life when she never had a chance to live hers. After searching the property, Benedict said deputies found Main in a detached garage. At that time, Benedict was in Tucson at Tiana’s autopsy. Main eventually recovered from her injuries and was interviewed at her home Dec. 5. In response to a counter by the Defense Attorney Chester Lockwood, Benedict testified Main had stayed consistent in her explanation of the bruising on Tiana’s forehead during all three police interviews prior to all three women’s arrest on Dec. 24. Benedict said Main never evaded questioning by detectives. Prosecutors have until March 12 to file a memorandum with the court regarding the Chronis hearing. The defense is expected to file a response a week later. The state can submit a rebuttal by March 23. Possibly delaying the upcoming trial is Main’s “major surgery” that has yet to be successfully scheduled, Main’s defense said in court. The four-week trial is set for July 31. Main will appear in court for a pre-trial hearing April 2, pending a confirmed surgery date. The teens charged with the murder of 20-year-old Wyatt Miller appeared separately in court Monday in a hearing two months ahead of their trial date. Co-defendants Gustavo Olivo and Arthur Magana are charged with first-degree murder and armed robbery in the 2016 shooting death of Miller in an incident south of Maricopa. Attorneys for the defendants are prepared for an April 10 trial, but that date could be pushed back due to the heavy trial case load for the judge assigned to the case. Judge Kevin White said he has three capital cases going to trial around the same time, including Olivo’s and Magana’s trial. Magana’s attorney, James Soslowsky, is currently in the middle of representing a separate murder trial. He said Magana’s case could still be ready for the April trial, pending what could be a major change to the case. That motion would create separate trials for the defendants. State law requires counsel to file the motion 20 days before trial. Soslowsky requested the case return to White’s court room in two weeks, when the attorney said he would be better prepared to discuss a possible change in the trial date. John Schaus, Olivo’s attorney, later made the same request of the judge. White scheduled a status review hearing for both defendants March 12 at 1:30 p.m. The judge said a possible alternate trial date could be May 1. “That’s just a consideration and not something I’m pushing for,” White said. Witness and evidence lists have been building in the case since September. Prosecutors named three Department of Public Safety forensic scientists and an officer as witnesses five months ago. Document evidence submissions included law enforcement reports, DNA examination report, latent print examination report, controlled substance examination report and a serology examination report. In January, forensic scientist Aaron Brudenell was added as a witness expected to testify as a firearms expert. Brudenell’s firearms examination report and another report by a detective on the case were also submitted as evidence. An investigator joined Shaus in Olivo’s case “to assist in preparation of this case” in December. White approved Goodyear-based DiCarlo Associates LLC, a private investigation company that “has done over 250 criminal defense cases…including approximately 15 capital murder cases” since 2004, according to court documents. Schaus has requested reimbursement of reasonable expense incurred through the firm’s hiring which costs $45 per hour. The man accused of killing his wife, Olivia Figueroa, with a sword in 2016 was absent for his court date Monday morning. Representing Miguel Figueroa during the status review hearing in Pinal County Superior Court was public defender Mark Benson. “Your honor, on the next matter, I do not have a client here,” Benson told Judge Kevin White Feb. 26. Figueroa has been in custody inside Pinal County Jail since his arrest in 2016. When White prompted the attorney for explanation on his client’s absence, Benson said it was not due to illness or other similar circumstance. Benson said he was told by law enforcement that Figueroa did not wish to appear in court. However, the judge’s upcoming docket is slammed with upcoming trial dates near the time of Figueroa’s. Benson and prosecutor Kristen Sharifi agreed Monday to meet March 12 to discuss “revisiting” Figueroa’s trial with his client present in court. Attorney and prosecutor had also met with White in his chambers prior to the hearing to discuss the matter. “Based upon our conversation in chambers, I will speak to Miguel,” Benson said. “I will get him (here) in two weeks so we can discuss the trial setting,” Benson said. In January, court documents reveal Figueroa’s attorneys, Benson and Scott Johnson, motioned for a Rule 11 psychological evaluation for their client that was later granted. Benson said he recently submitted the evaluation to the court. White said Monday morning he has since reviewed the report. The results of the evaluation have not been made available to the public. A grand jury re-indicted Figueroa Dec. 20 on the same four charges from 2016: first-degree murder, kidnapping and two counts of aggravated assault. He pled not guilty to all counts nine days later. Figueroa is scheduled to appear in court ahead of his trial for a status review hearing March 12 at 1:30 p.m. Attorneys for the state will call a medical examiner as witness in a special January hearing for Shawn Main, the woman accused of causing the death of 3-year-old Tiana Rosalie Capps in 2015. Monday, Pinal County Superior Court Judge Kevin White rescheduled a “Chronis hearing” for Jan. 18, after its original date was vacated Dec. 1 due to a full court docket. Main’s attorneys requested the hearing ahead of her trial in July, when she will be tried for capital murder. The hearing permits such defendants to “request a determination of probable cause as to alleged aggravating circumstances,” according to Arizona Supreme Court Law. During the status review hearing Dec. 18, Prosecutor Vince Goddard revealed the state’s argument in the future Chronis hearing will be based on two aggravating circumstances: the victim’s age and the offense allegedly being heinous, cruel and depraved. The hearing is scheduled to last two hours with the state’s main testimony coming from a medical examiner. “I think the state’s case would be about 45 minutes, and that’s almost 100 percent going to be the medical examiner,” Goddard said during the hearing Monday. The autopsy performed by Pima Medical Examiner’s Office two years ago showed Tiana died from repeated blunt-force trauma Nov. 19, 2015, while in the care of Main. After her death, Tiana’s three surviving siblings were taken into protective custody and had been also reportedly subjected to abuse and neglect. On Christmas Eve that year, Main and two other women living in the household were arrested: Main’s wife Maria Tiglao and the children’s biological mother Tina Morse. Main, Tiana’s caretaker, was subsequently charged with murder while the other two women were charged with varying counts of child abuse. The Chronis hearing is set for Jan. 18 at 8:30 a.m. at the Pinal County Superior Courthouse. The murder case against the Tempe woman accused of killing 31-year-old Michael Agerter in the garage of his rental home in Rancho El Dorado nearly one year ago is inching closer to trial. Kathryn Sinkevitch stood in front of Pinal County Judge Steven Fuller Monday morning for a brief status review hearing. Fuller covered the case for Judge Kevin White, who was assigned to hear a separate trial that morning. Representing Sinkevitch since late June was attorney Bret Huggins, who requested an additional status review hearing for a date soon after the New Year in preparation for a spring trial. James Mannato, original attorney for Sinkevitch, withdrew from the case in June for an unspecified “conflict of interest.” Mannato is a public defender. Huggins also asked Fuller to affirm the May 8, 2018, trial date. Pinal County Deputy Attorney Sean Coll did not object, adding Agerter’s next of kin indicated they were available to attend court on those dates. Sinkevitch will stand trial for four weeks in front of a 12-person jury. A grand jury indicted her with first-degree murder in late December 2016. Sinkevitch has submitted a not guilty plea. Coll tossed the possibility of a capital case in March citing a lapsed deadline. It was at that time Coll said the Pinal County’s Attorney’s Office would not offer a plea. 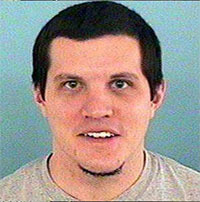 Agerter is linked to Sinkevitch by a 1-year-old child that was said to have been the center of a custody dispute between the pair. Agerter was found shot to death in his garage one month after the baby’s birth in the garage of his Maricopa home on Dec. 16, 2016. It is unclear what Sinkevitch’s defense will be in trial. In February, White approved the appointment of Susan Schoville with Valley-based Blue Core Investigative Solutions to “assist the defendant and her legal counsel in the investigation and development of her defense,” according to court documents. Schoville began her investigation in June with Huggins, Sinkevitch and their 144-page case file. Schoville compiled an outline of the case including 911 calls and discovery videos presumably from the defendant’s work dated Dec. 16 through the 19th. Sinkevitch will be in court again Jan. 9 at 9 a.m. The woman accused of causing the 2015 death of a 3-year-old girl was back in Superior Court Monday afternoon. Shawn Main, 46, appeared in front of Judge Kevin White as her attorney requested to set a date for a “Chronis” hearing. This specific hearing only applies to capital cases and is “effectively a pre-trial probable cause hearing on the statutory aggravators that the state alleges,” said James Tanner, spokesman for the Pinal County Attorney’s Office. The two-hour court date is set for Dec. 1 at 8:30 a.m., and will feature appearances made by case witnesses. The hearing is in preparation for a July trial. The state alleges Main caused the blunt-force trauma death of Tiana Rosalie Capps. Living in the home at the time of Tiana’s death in unincorporated Maricopa were Tiana’s three siblings. Their two caregivers were Main and her wife, Maria Tiglao. Another woman apparently living in the home was the children’s biological mother, Tina Morse, who said she did not contribute any care to her children. After Tiana’s death, all three women were charged with varying counts of child abuse. As previously reported, Tiglao is no longer in custody. Her case is pending action until Main’s trial concludes, Tanner said. Morse is spending two years in jail after she accepted a plea deal in December 2016 of two counts of child abuse. A report filed in January by the Arizona Department of Child Safety and Gov. Doug Ducey shows all three women had contact with DCS prior to Tiana’s death. In 2003, six reports alleging physical abuse to a child were filed with DCS against Main. “The Department’s investigations, along with an investigation by the Pima County Sheriff’s Office, determined that the child’s injuries were being caused either by self-harm or by attempts to restrain the child,” the report states. In 2009, a report was filed against both Main and Tiglao alleging neglect to three children. “The report alleged concerns regarding the condition of the home and allegations that food and water were being restricted,” according to the report. Each of the cases were closed due to the state’s findings that the allegations were unsubstantiated. In 2014, a report to DCS accused Morse of neglecting Tiana and her siblings. “The report alleged the children were not being adequately cared for and noted concerns regarding the condition of the home,” according to the report. Morse and the children were not living with Main and Tiglao at the time of the reported allegation. The DCS investigation into the allegations against Morse “assessed the children as safe in the care of their mother” and the case was closed. Tiana died in the care of Main a little more than a year later. After her death in November 2015, the other children were removed from the home and placed in licensed foster homes, the report states. 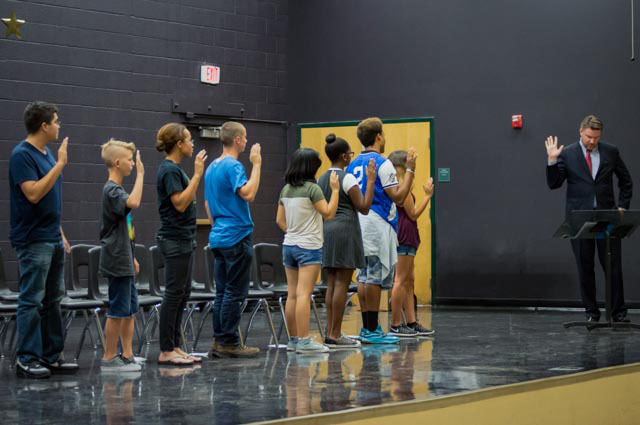 The inaugural hearing of the Maricopa Teen Court is slated to begin Aug. 24 inside the Maricopa/Stanfield Justice Courtroom. 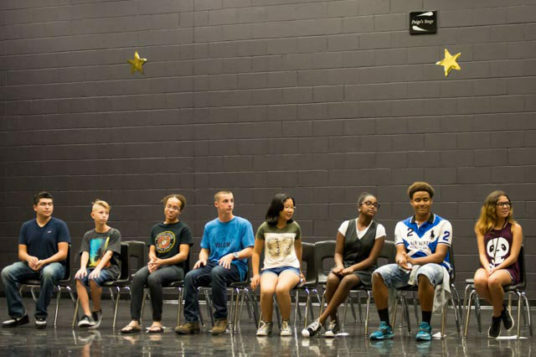 It’s the first of many for the program, as Maricopa pilots the only teen court in the county. 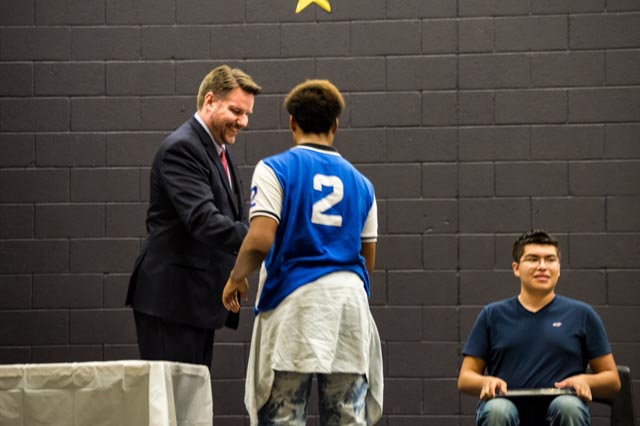 In early August, representatives from Pinal County’s juvenile probation department trained area teenagers who would soon take court positions as peer prosecutors, defense attorneys and victim advocates. The teen court is billed as a diversion program for young alleged offenders. Aug. 10, Pinal County Bureau Chief of Juvenile Justice Court and Appeals Tom McDermott swore in eight graduates from the training. Nya Villaverde, Sandra Nith, Steel Lewis, Carlos Aguilar, Dallas Hansen, Dylan Hill and Tayvon King are the first teens in the county to staff such a program. Pinal County Juvenile Probation Supervisor Teresa Fuller said hearings will take place the fourth Thursday of every month from 3:30 to 5:30 p.m.
“Volunteers who would like to serve on the teen court jury can attend any teen court hearing to volunteer,” Fuller said. Jury volunteers must come dressed in court appropriate attire. For more information contact fuller at tefuller@courts.az.gov or call (520) 866-7061. The Maricopa man accused of killing his wife with a sword in December will not face the death penalty. According to court documents, state prosecutors have until May 5 to file a notice of intent to seek the death penalty against Miguel Figueroa Sr. However, Pinal County Attorney’s Office spokesman James Tanner said the state is not pursuing a capital case, and could not provide an explanation behind its decision because the case is still ongoing. Inside a county courtroom Monday, 45-year-old Figueroa stood clothed in a jumpsuit and shackles alongside defense attorney Paula Cook. Judge Kevin White approved Cook’s request to extend the date of a future hearing, which will determine Figueroa’s trial date. Cook said she could not comment on the details of the case. In December, Maricopa Police arrested Figueroa after he allegedly used a sword to kill his wife Olivia. That night, police found the victim’s body with multiple stab wounds in a desert area near the Heritage District. Figueroa was later indicted by a grand jury on four felonies, including first-degree murder, kidnapping and two counts of aggravated assault. Figueroa’s trial date will be decided in court on June 12 at 9 a.m.
Pinal County Justice Courts are addressing an on-going issue: People who fail to show up for court. County statistics show among all eight justice courts in 2015, there were nearly 3,000 warrants issued that included failure to appear charges. In 2016, that number lowered by less than 3 percent to 2,838. It’s a problem that doesn’t go away – and putting it off can cause real problems. Maricopa/Stanfield Justice of the Peace Lyle Riggs said he believes many people don’t understand the negative impact ignoring a court date can have on their lives. “All too sadly they find out there are real consequences, and then they’re really quite angry,” Riggs said. Failing to appear has a snowball effect on a person’s legal issues and often include higher fines, arrest warrant issuance and revoked driving privileges. Read Judge Riggs’ opinion. “You can take a relatively simple speeding ticket that might be a $200 fine and turn it into a $3,000 problem very quickly,” Riggs said. In criminal cases, if a defendant is picked up on a warrant for failing to appear, they will spend a night or more in jail. That can have lasting effects on a person’s ability to get and retain a job. Judges complain the issue can be easily avoided. Shaun Babeu, justice of the peace in Apache Junction, said communication is key. For example, the courts accept written requests for things like court date extensions – and although judges said they cannot guarantee all requests will be approved, dialogue with the court goes a long way. “We are not looking to put people in jail. We are looking to get their case resolved, get them back on track and pointed in the right direction,” Babeu said. Historically, many courts have given people who fail to appear one to two weeks to come into court. However, a new automated system is changing that and consequences are being applied sooner. Implemented statewide in December, the Arizona Judicial Automated Case System immediately notifies court staff when someone fails to appear. It can also send a notice to the Motor Vehicle Division to suspend licenses and registrations. Casa Grande Justice of the Peace John Ellsworth said he has seen an increase in the number of motions coming into his court from people requesting their licenses be reinstated since the system was put in place. “I believe that we are getting on to them a lot quicker because the automated system is a lot more efficient,” Ellsworth said. The system is still being phased in at the Maricopa court. However, Riggs said the typical grace period people have to seek resolution after missing a court date will soon be shortened significantly. He said it is even more of an incentive for people to show up to court on time. Until no-shows are no longer a problem, judges continue to give people an opportunity to get back on track. In the Apache Junction court, the busiest in the county, Babeu has implemented warrant resolution days giving defendants an opportunity to resolve issues with their cases. For the first time, the Maricopa/Stanfield court will hold a similar event on Saturday, May 20, from 7:30 a.m. to 2:30 p.m. But opportunity for resolution is not a new practice in Maricopa. In fact, for the past two years Riggs has reserved 30 minutes every Friday morning for “open court” where people can speak to the judge for a variety of issues, including those who have missed a court date and have been issued a warrant. In March, Riggs extended his open court to every weekday morning from 8:30 to 9. He said the open court is working. On one Friday morning in late March, more than 20 people filled his courtroom. Civil traffic offenses dominated the cases brought to the judge. Riggs also heard from people who failed to appear at their original court date and were looking to resolve their cases. He said he hopes to see more of them. “My hope, truthfully, is that I get a flood of people coming in,” Riggs said.